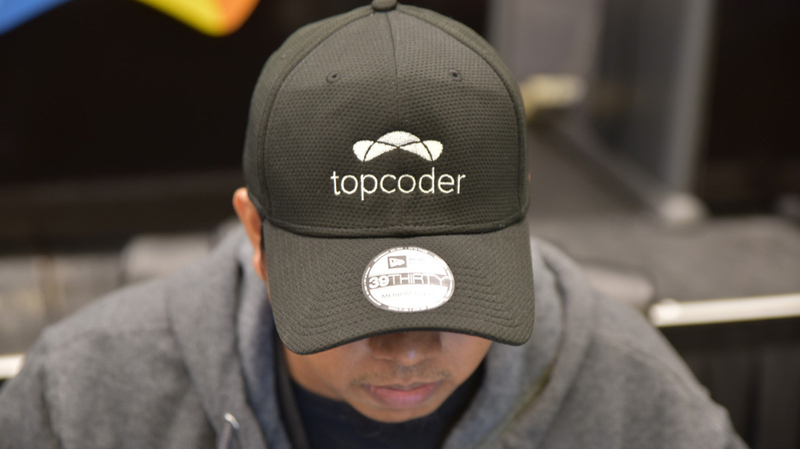 2017 Topcoder Open has started and it is everywhere in the city! 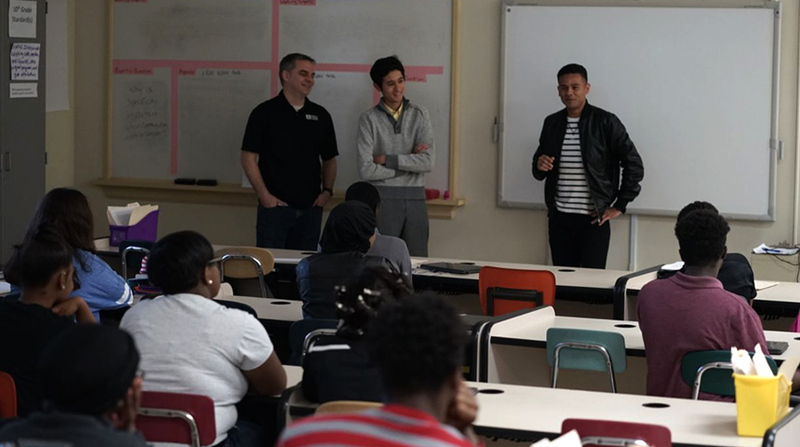 As a matter of fact, we were lucky to be involved with Buffalo Public Schools by providing some STEM career advice to young students from the Lewis J. Bennett School of Innovative Technology. 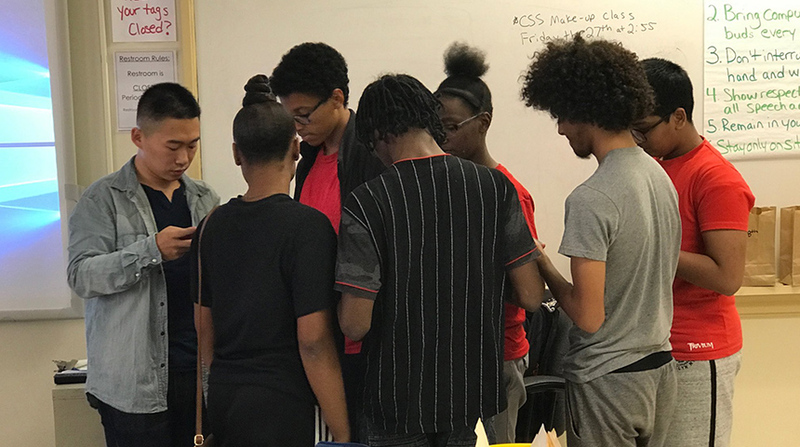 They set up a special class of students who are interested in learning how to code and solve problems using technology. 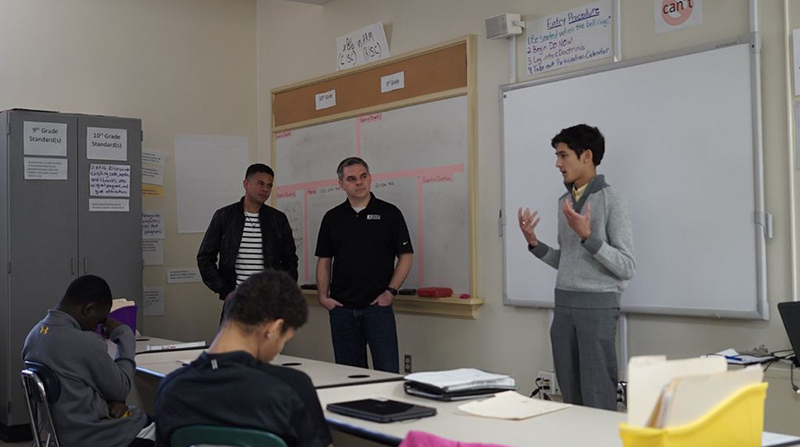 Topcoder was invited to talk to this school by BNMC as part of the TCO17 buzz around the city. 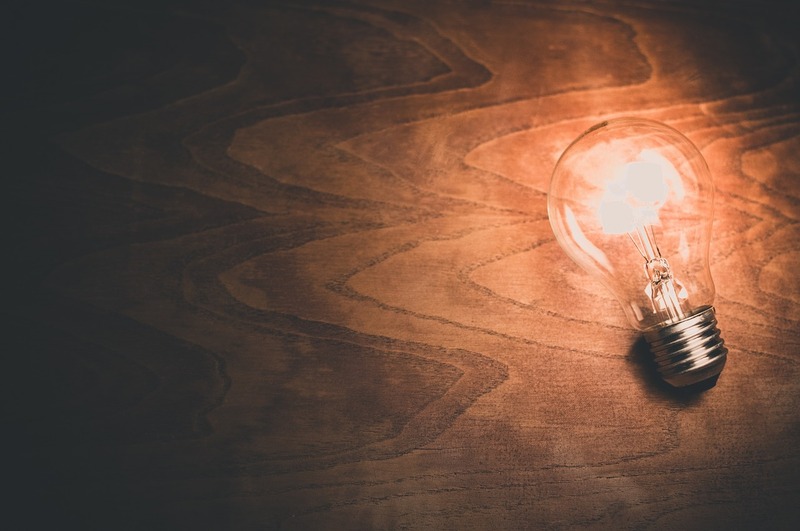 As a well seasoned attendee – we can say “old” too, no problem – I can say that this is the first time that I’ve felt the buzz of the event making such an impact in a city. Most of the clients and sponsors I’ve met so far are genuinely excited about hosting TCO in Buffalo. A sunny city of blue sky and warm people, what a great start! 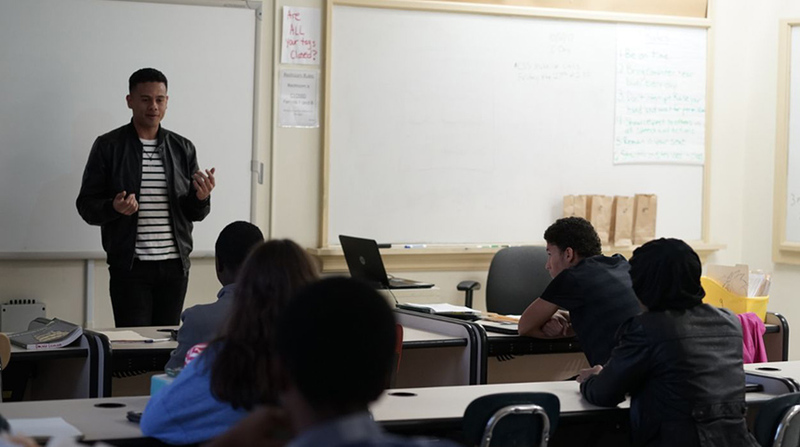 Once invited, Topcoder had the crazy idea, as most of the time, of inviting this humble server, aka TCO Ultimate Junkie, to speak to these kids about STEM careers and my personal life journey. On the other hand, they had the brilliant idea of inviting [billsedison] to do the same too (but better). Thank the lord, because he saved the day with this video game presentation! For a start, I was simply fascinated just with the look of the high school. It was something extremely unique, at least for me. Please understand me, where I come from not even the top rated private university look like half of this. Counting with this infrastructure alongside with special education programs I quickly realized how lucky these kids are. It’s ridiculously incredible the amount of knowledge and progress they can have by being exposed to this type of programs. I’m totally jealous and I wish I had this, I want to be a kid again and study somewhere like this place! The moment of the truth, to stand in front of students thirsty for knowledge. So my big question, what should I possibly talk about to call these young minds attention????? NASA Food Intake Application ???? It’s not a secret that Topcoder has worked on several projects for NASA. I chose this particular one because it involved a series of features they could be familiar with such as facial recognition, artificial intelligence, voice recognition, etc. Basically, we needed to collect intake data from astronauts on the IIS while they were executing missions, having to come up with a seamlessly solution that didn’t interfere with their daily tasks while we collected information about their meals to be sent back to earth for further analysis. 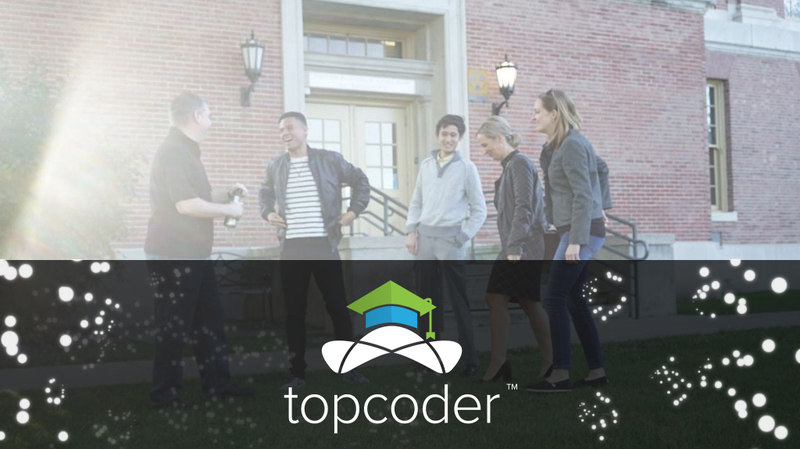 There were more than 50 Topcoder members involved in this mission, we could say that we have some kind of semi-mini-tiny-topcoder-astronauts within the community. Guess what, I’m one of those ??????? ?‍♂️ ??????? ?‍♂️ ????????‍♂️????. Luckily, we had Honghao (billsedison) talking about game development careers, which made the whole class very excited! 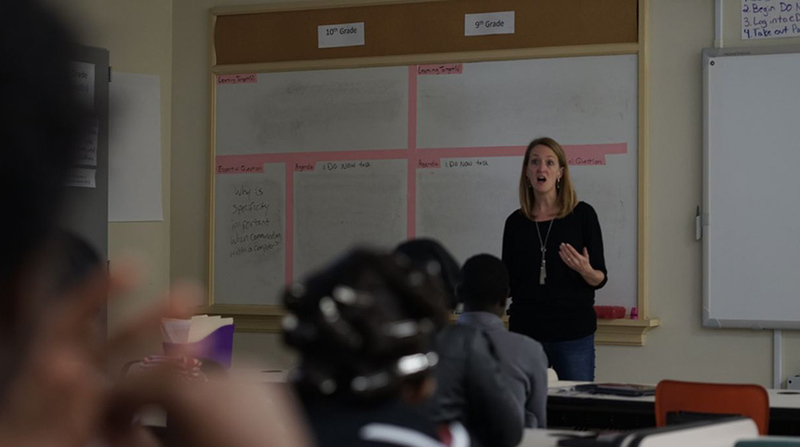 Let’s face it, video games, teenagers, coding, designing, I can bet that almost anybody who is related to any STEM career had video games as an important influence on their decision of becoming professionals on any of these fields. Honghao works full time for a mobile game company in China, while he competes in Topcoder during his spare time. He kindly demoed-up a MOBA video game not released yet, reason which we can not expose too much information, at the same time as he explained the different opportunities and careers, such as digital artists, interaction designers, motion developers, 3D engineers and so on. The experience was amazing; students had a higher enthusiasm for the game than I expected. I hope it could be a good start point to motivate them to make their own game. I can’t definitely finish this post without mentioning the team behind the camera taking those great shots you see here. It’s the fabulous Indonesian digital documenting squad, [cendhika] & wifey, who has a very interesting story within the community which should have also be shared with the class but he didn’t want to steal focus from us with his amazing story. Reporting live from TCO17. See you in another post fellas, peace out!